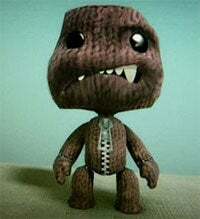 The LittleBigPlanet community is in an uproar over their favorite levels suddenly disappearing off the face of the LittleBigEarth, and while Sony appreciates the creativity, they aren't planning on cutting back on moderating them any time soon. In a statement released on their Three Speech Blog, Sony lays down the simple guidelines to follow if you'd like your levels to stay in play. *Ensure that the content you share with other users is suitable for all ages - everybody has access to your level if you publish it *Please respect other people’s intellectual property rights. For example, don’t use images, brands or logos that you’re not entitled to use. *If you come across any content that you feel the need to report, then please do it responsibly. Hoax reports will be considered inappropriate behaviour.